I’m kind of in love with this salad. This is a very good thing, for me to be in love with a salad right now, because we are in the thick of the holiday season and I need something to counterbalance all the festive food I’m definitely, hopelessly in love with. The ingredients couldn’t be more perfect. The fennel and ginger aid in digestion, the Serrano chili pepper helps boost metabolism and the apple cider vinegar is said to do both. And of course, kale is kale. 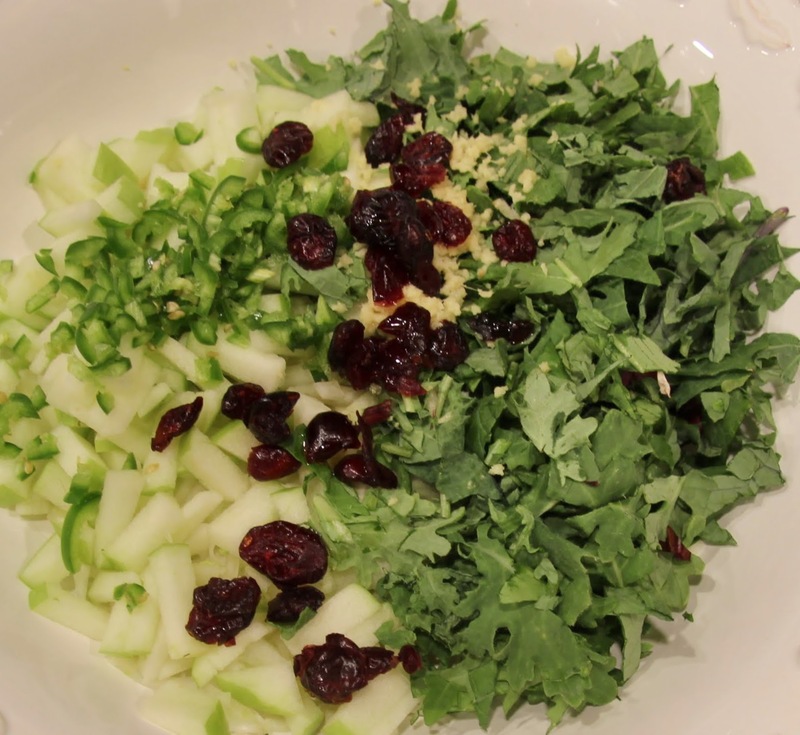 The green apple, chili pepper, and dried cranberries contribute to a really nice tart, spicy, sweet balance of flavors. 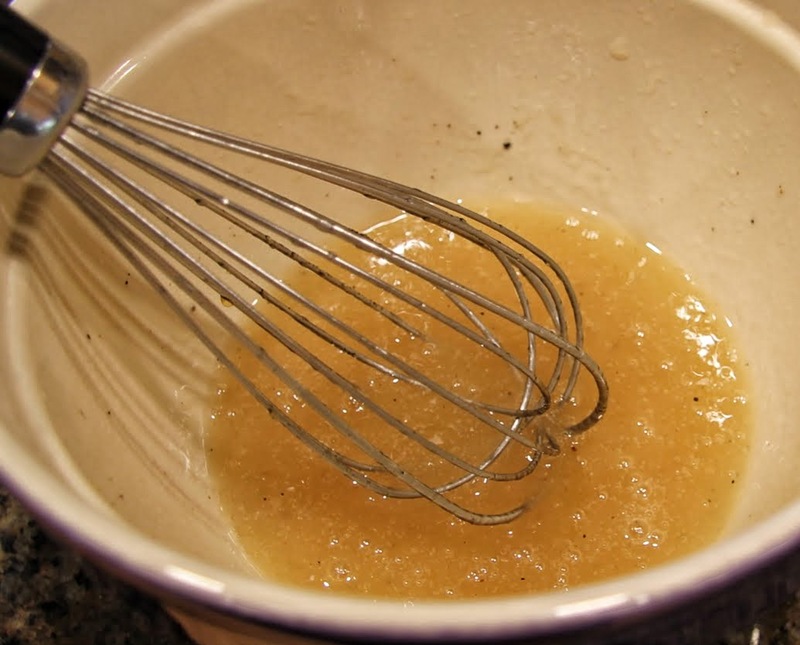 There are claims that apple cider vinegar also has an anti-glycemic effect and may even assist in breaking down fats so even if you don’t like the salad ingredients, the vinaigrette is a good thing to incorporate into your diet, especially this time of year. 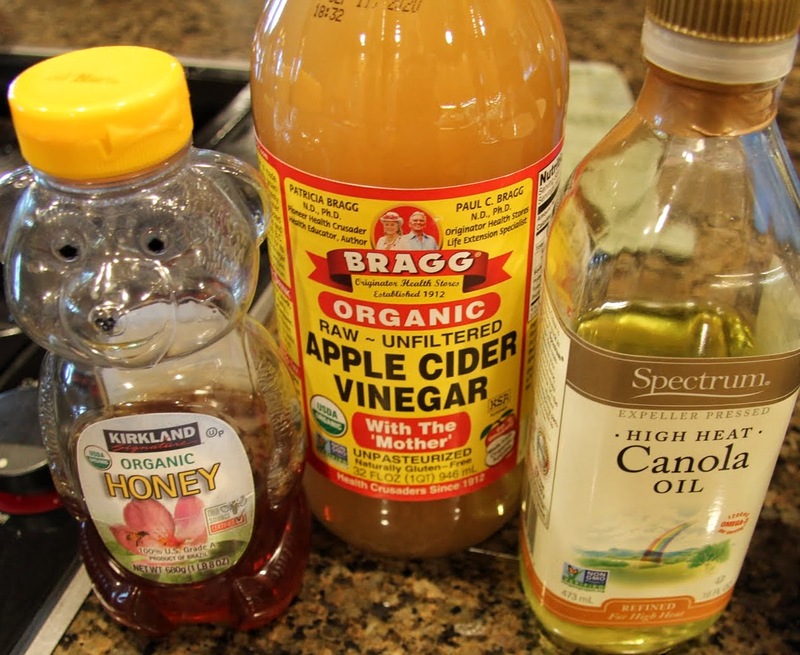 Make sure you use unfiltered cider vinegar, Bragg’s is a good one, the cloudy kind with the “mother” which is full of probiotics to reap the benefits. 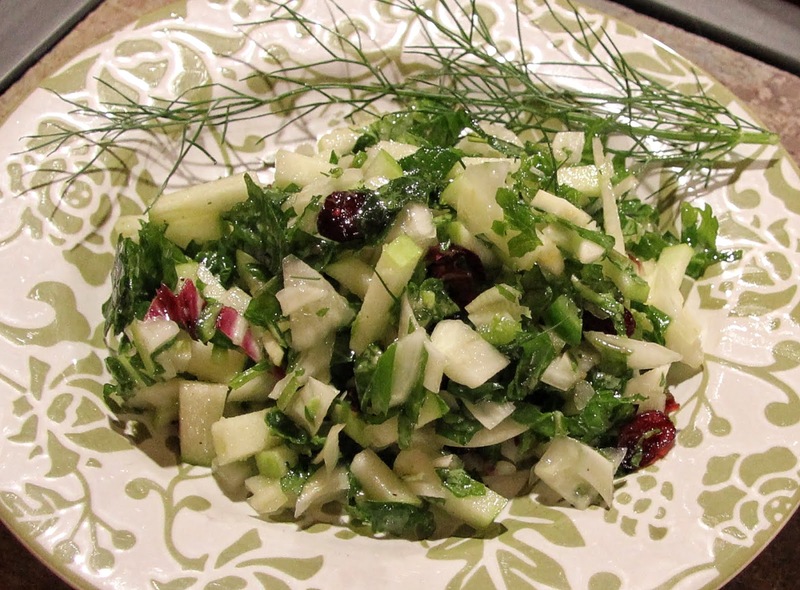 In addition to being healthy and tasty, I think this is also quite a lovely salad, pretty enough for a holiday party, just double or triple the recipe. You can even make it a few hours ahead of time and you don’t have to worry about it wilting. 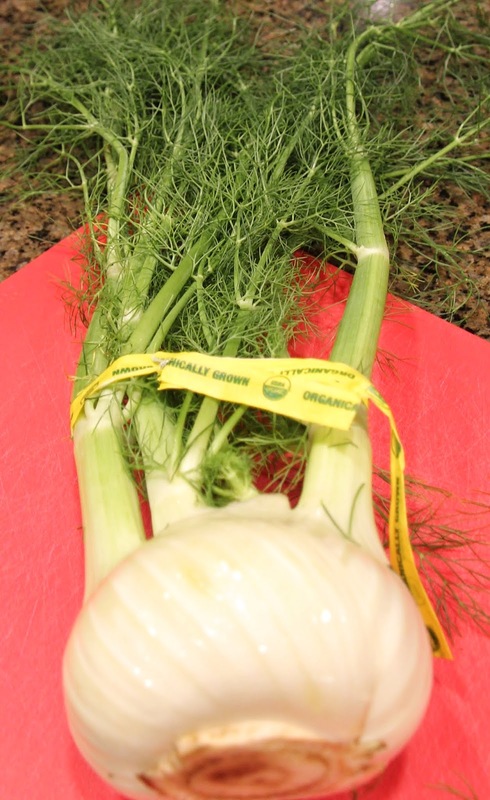 In case you are unfamiliar, this is fennel. 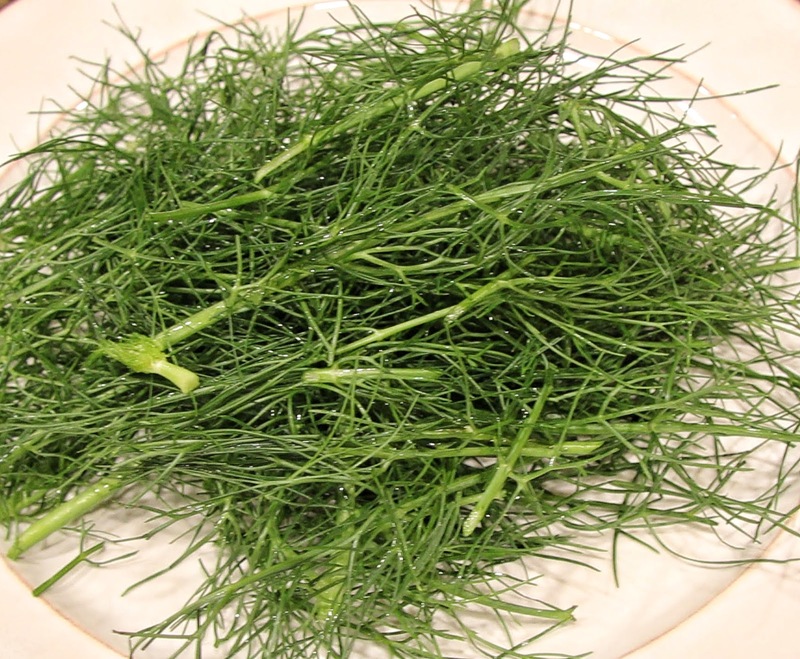 The bulb is crunchy and sweet with a subtle anise/licorice flavor and has a texture similar to celery. 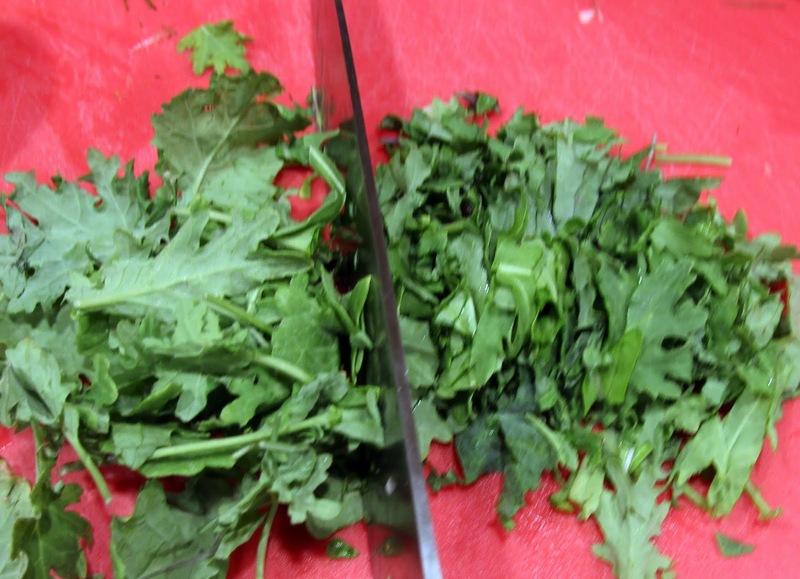 The stems and fronds (dark green leaves) are also edible. 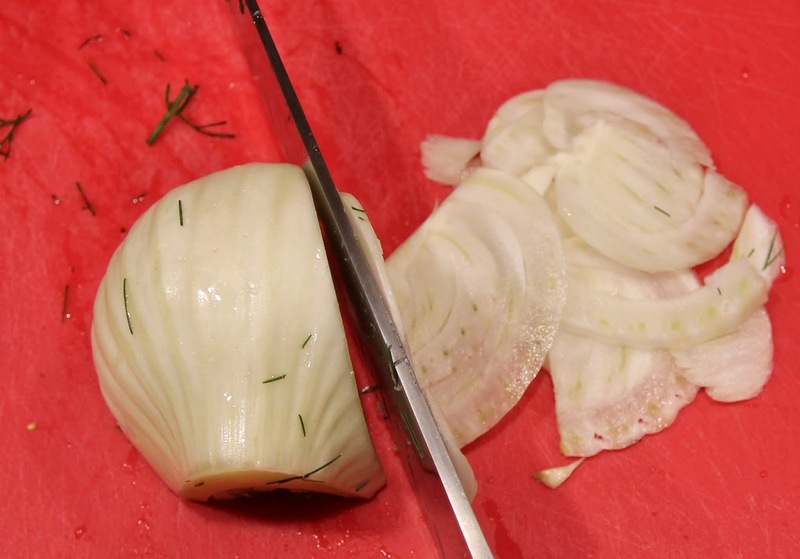 Slice the stems and fronds off the bulb and reserve some of the fronds for garnish. 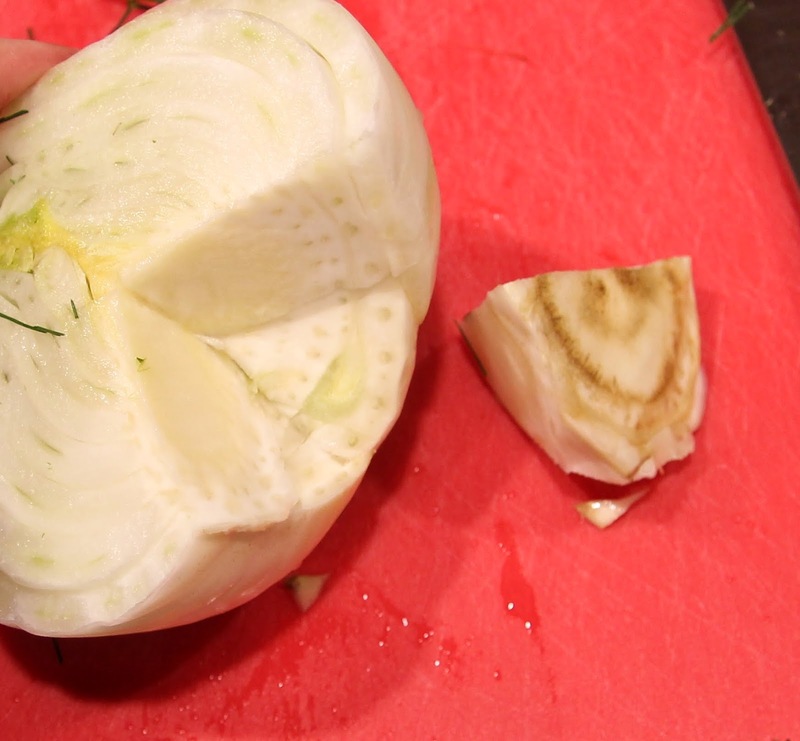 Slice fennel bulb in half, remove the bottom, core, and the outer layer if it seems tough. 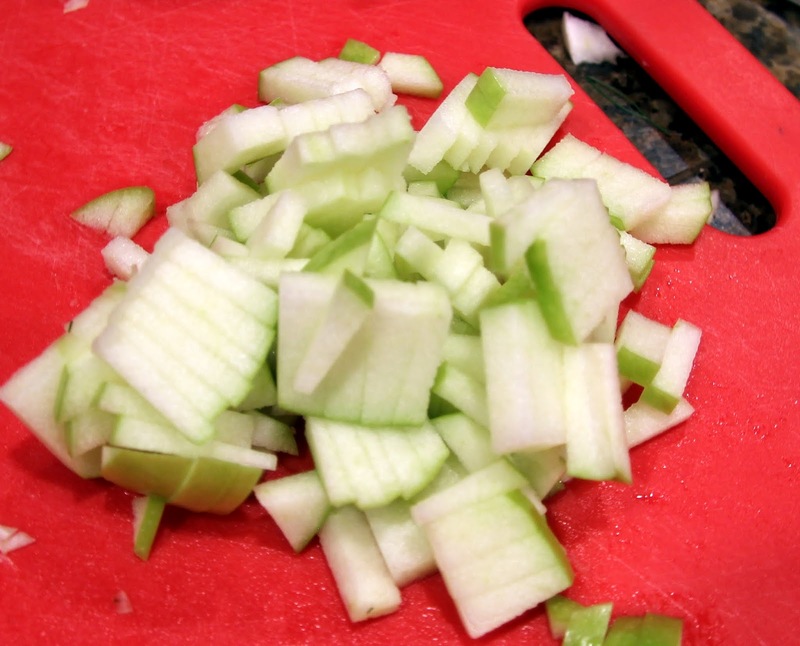 Thinly slice then chop. Place in salad bowl. 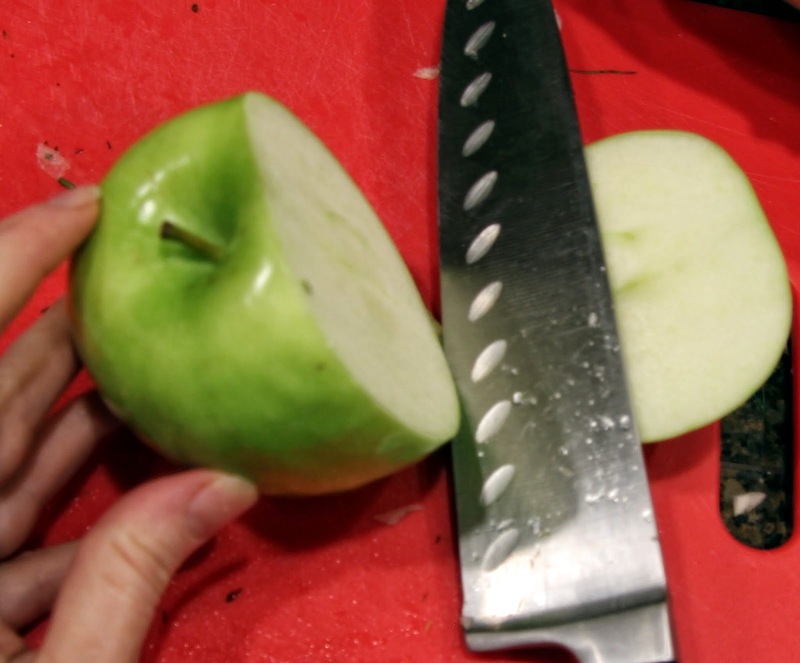 Slice half of the green apple away from the core and chop, leave the peel on. 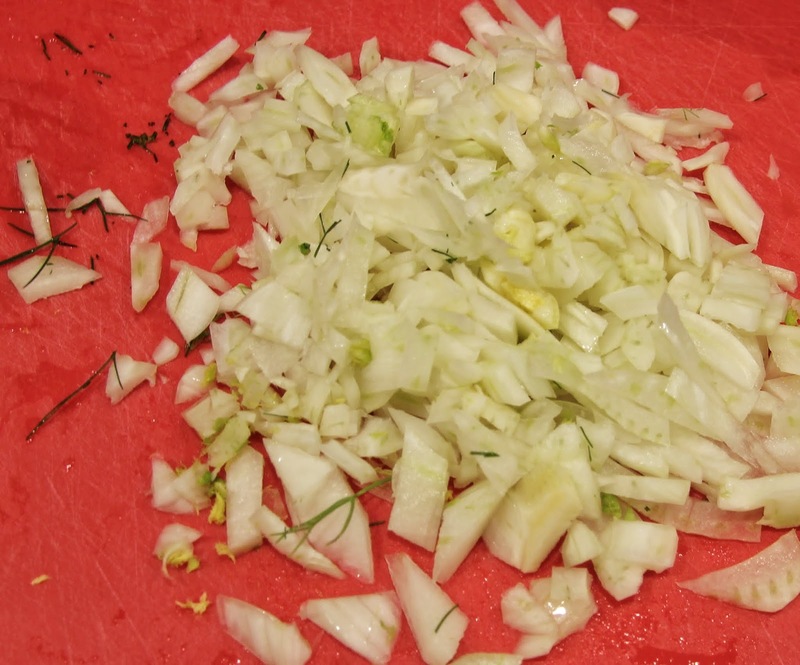 Add to fennel in the bowl. 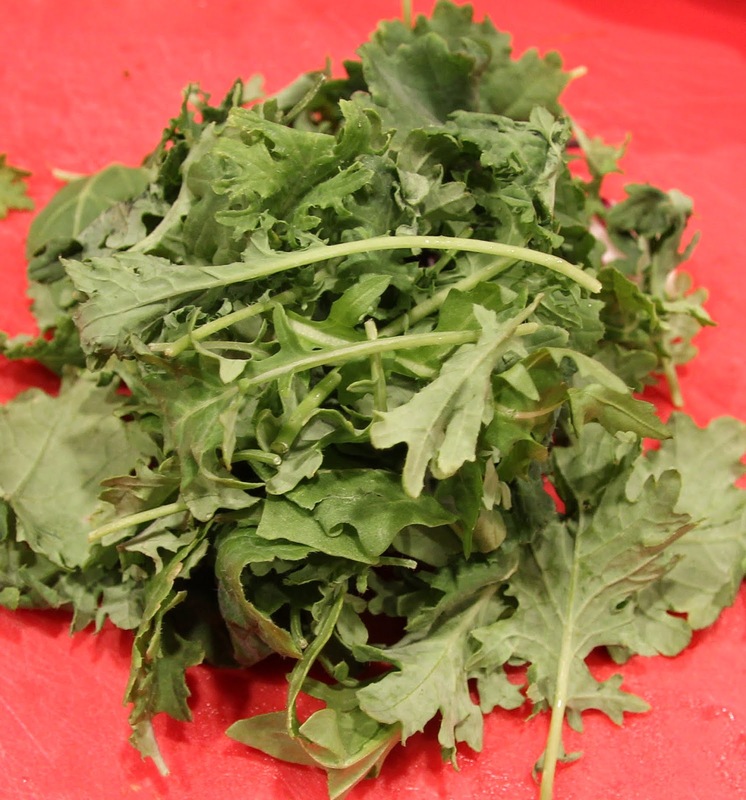 Thinly slice baby kale and add to fennel and apples. 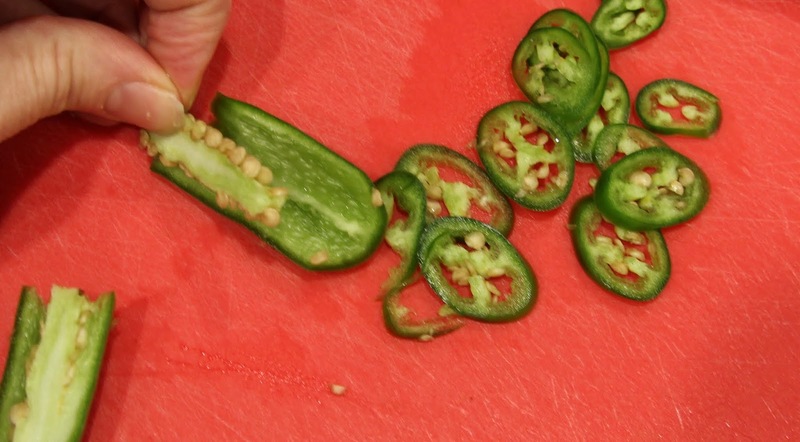 Chop the Serrano pepper. I left half the seeds in and took half out before chopping. The heat was just right for me but you should adjust to your taste. 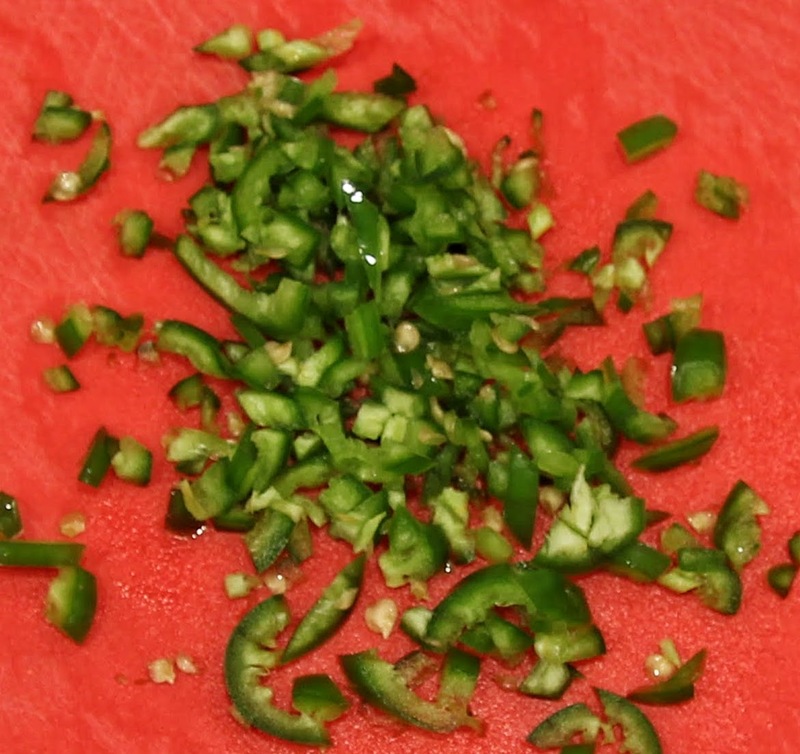 Add peppers to salad then grate or very finely chop fresh ginger and add along with dried cranberries. 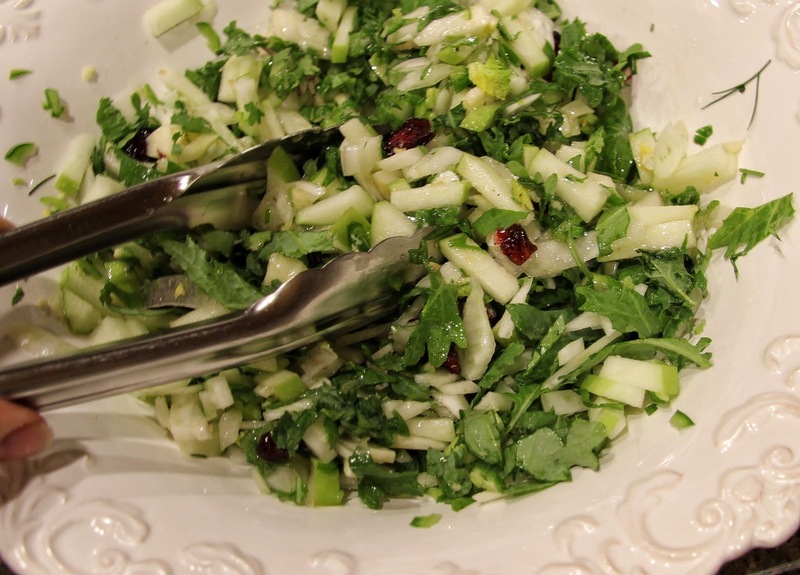 Toss together and set aside while you make the vinaigrette. 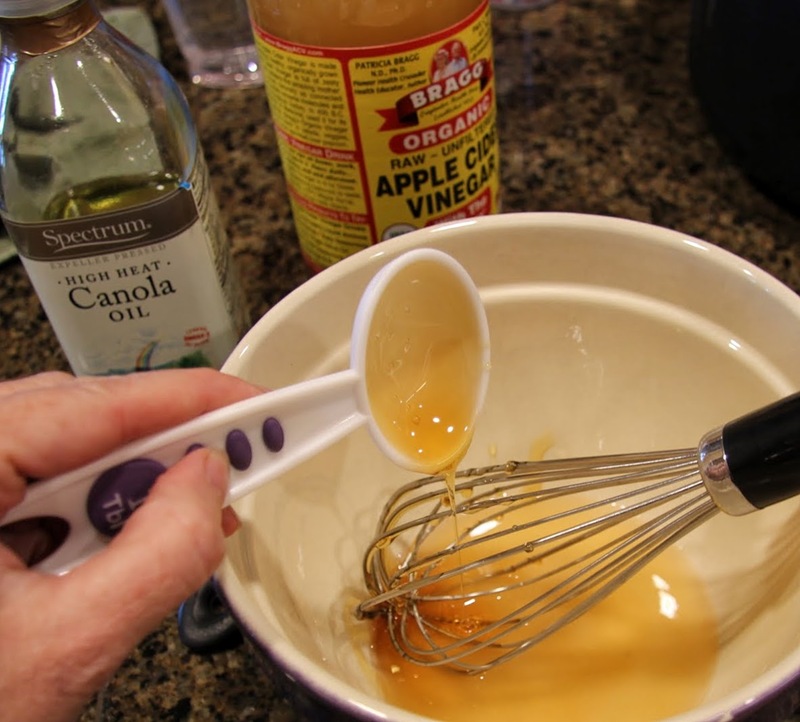 In a small mixing bowl, whisk together apple cider vinegar and honey. 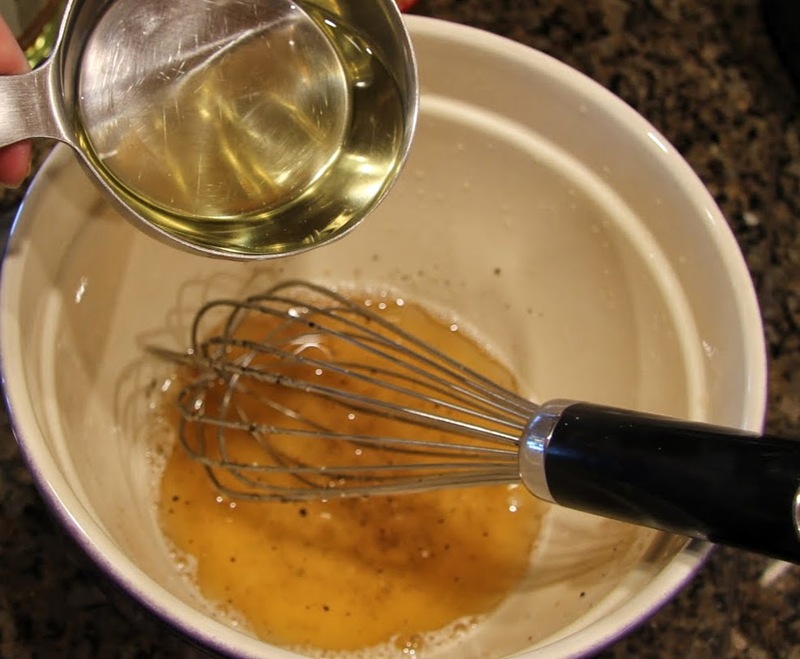 Add oil, whisking vigorously. Season with a pinch of salt and freshly ground pepper. 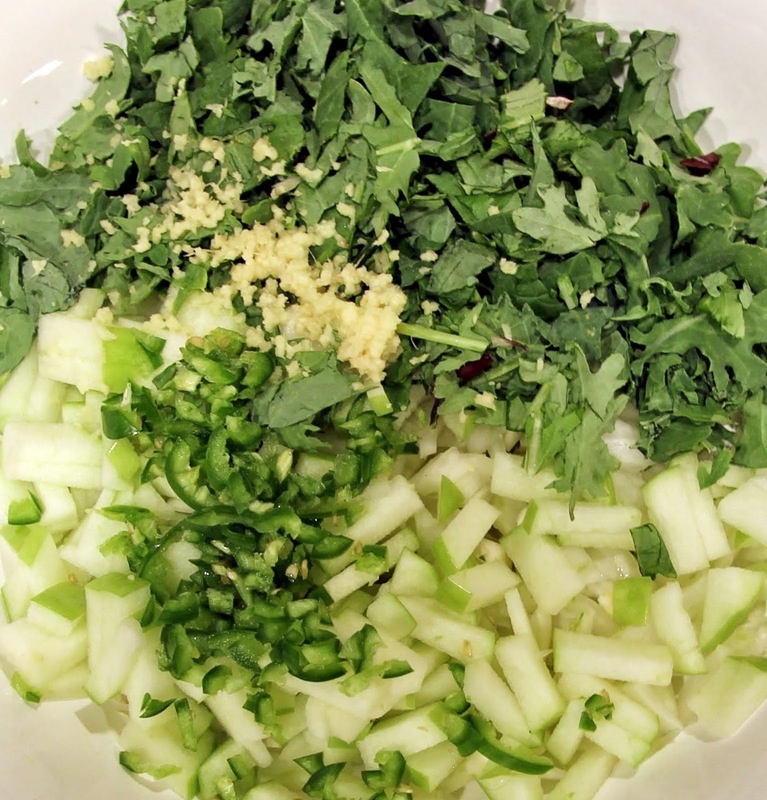 Toss dressing into the salad – I used it all but you can go a little lighter if you like. 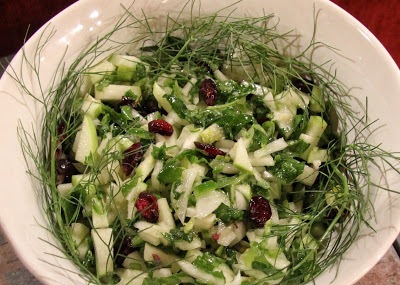 Tear off some leaves from the fennel fronds and toss those in as well. 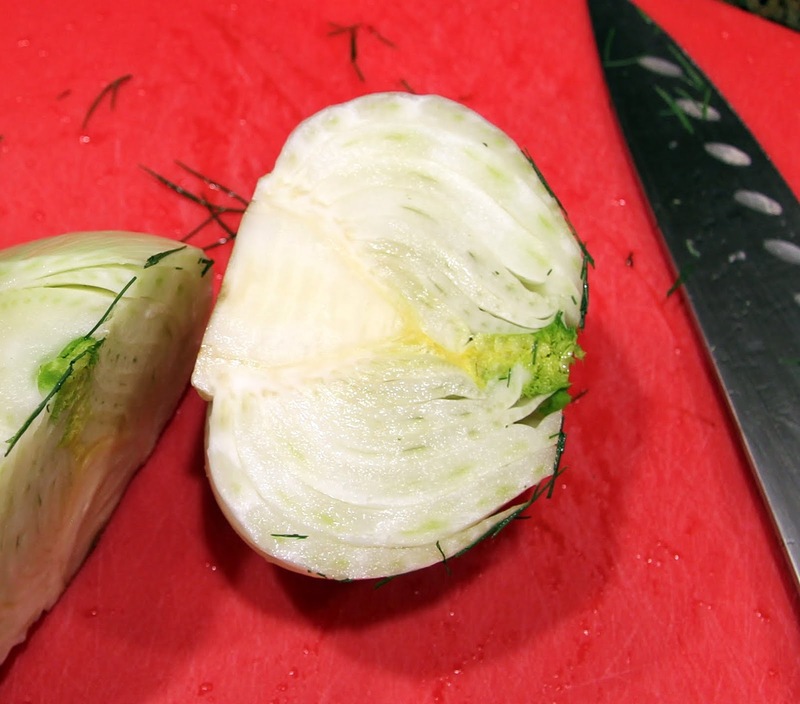 Garnish with larger pieces fennel fronds. Mass shootings are becoming appallingly commonplace and, this past week, the debate over gun control has been more heated than ever. Because that’s what we do, isn’t it? We have heated debates. We currently have more extreme polarization between the right and the left than I’ve seen in my lifetime. We accuse leaders on both sides of being evil. President Bush was considered “evil” by those on the left and now President Obama is being considered “evil” by those on the right. I’d like to give them both the benefit of the doubt and believe they are flawed humans with mostly good intentions, just like the rest of us. We have rapidly deteriorating race relations. And we derive an astonishing amount of entertainment from violent television shows, movies, and video games. There’s even a horror movie about Santa Claus out this year because, apparently, that’s what sells. We are, quite simply, becoming more and more desensitized. I can’t help but be reminded of the weeks after 9/11. So fragile were we that the television networks stopped airing anything with violent content. We had seen the worst violence of our generation play out and, for a time, we were no longer able to stand the gratuitous violence in movies and on television. Bob and I are not religious but we sought out a church the following weekend as did many like us. Because at our core, when our hearts are broken open by senseless violence, we crave community, we crave belief in an afterlife, we crave peace and comfort. My prayer, my seemingly impossible Christmas wish, is to see some of those core values come back to us. Again, I’m not religious, but I do believe in practicing gratitude every day. I believe in miracles. I believe there is a power/energy/spirit far greater than myself. I know I will never grasp exactly what that is and I’m okay with that. I believe everyone has the right to their own faith. I believe in the golden rule, the most fundamental guide to our humanity, do unto to others as you would have them do unto you. And, I believe in both the spirit of Santa Claus and the true message of the Nativity.